Need a banana muffin recipe? 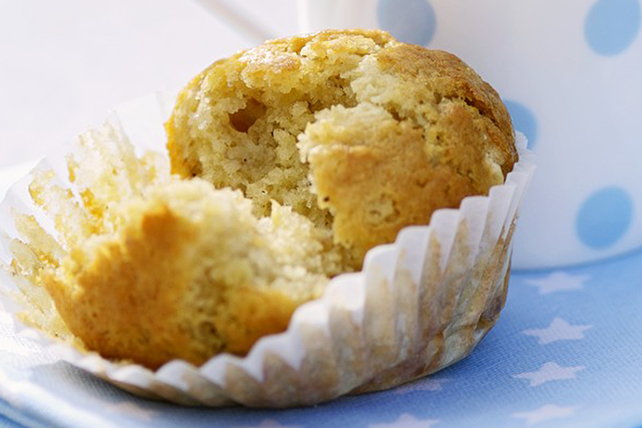 Our Banana-Oatmeal Muffins are a great way to use up over-ripe bananas. Wonderful for breakfast or coffee break. Combine first 5 ingredients in large bowl. Whisk remaining ingredients in medium bowl until blended. Add banana mixture to dry ingredients; stir just until moistened. Bake 23 to 25 min. or until toothpick inserted in centres comes out clean. Cool in pan 5 min. before removing from pan to serve. Prepare as directed, adding 1 tsp. ground cinnamon to combined dry ingredients before mixing with the banana mixture.